The Powerscreen Warrior 1200 is the most compact 12ft scalping screen in today’s market. Despite this footprint, with a highly aggressive screen at its heart, the Warrior 1200 is not overshadowed by its competition. Building on the success of the Warrior 600, the Warrior 1200 boasts excellent service access, high capacity and a low cost of ownership. A multipurpose heavy duty incline two deck screen, the Warrior 1200 is capable of stockpiling, scalping before and after crushing units, or as a standalone unit. Its highly aggressive screen can accept bofor bars, finger screens, woven mesh and punch plates along with other application specific media types. 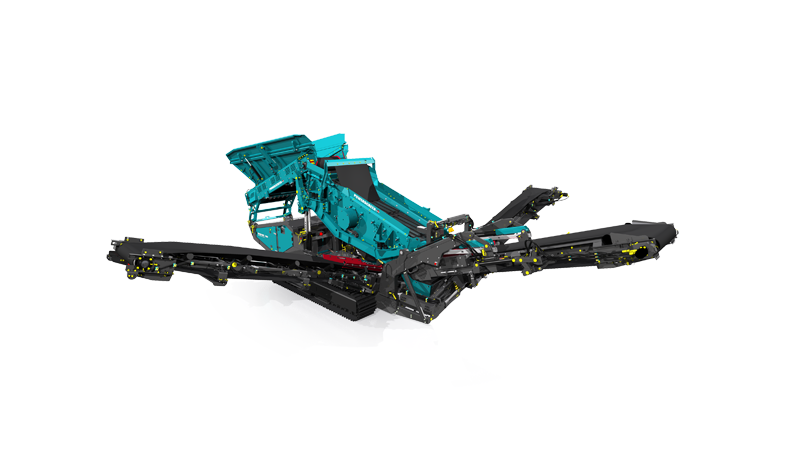 User benefits include a rapid set-up time and ease of operation aided by hydraulically folding conveyors, two speed tracks and a swift two way split conversion.